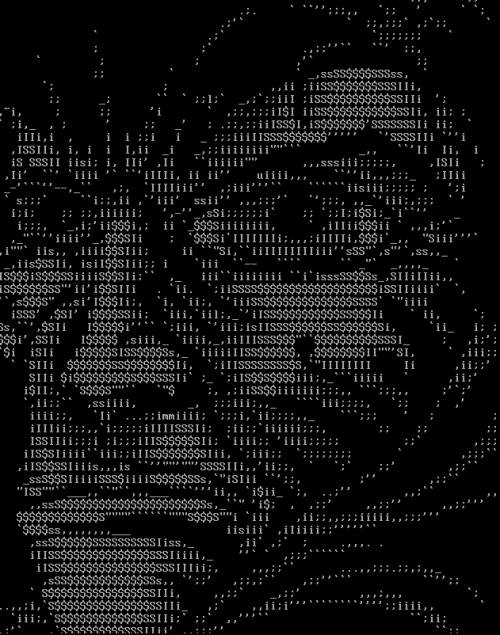 1990s, 1998, ascii, canada, mistigris. 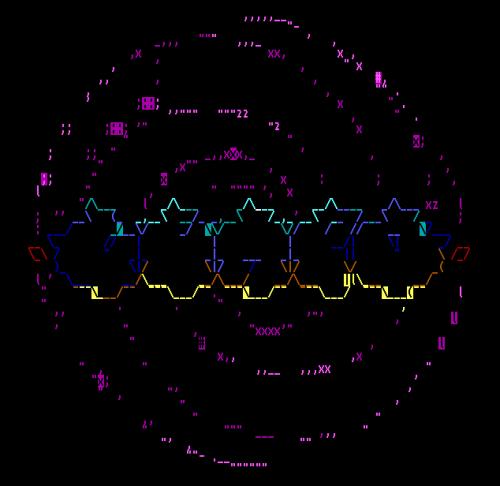 Detail from a 1998 piece by Dead Soul in MIstigris 9803. 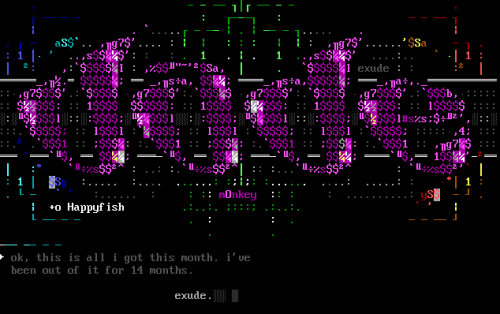 1990s, acid, ascii, axel barebones, remorse. 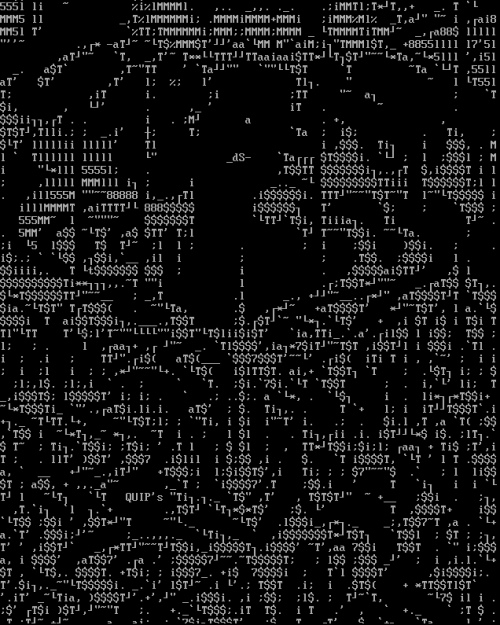 Part of an ASCII by Axel Barebones for Remorse/Acid, re-published in Mistigris 9803. 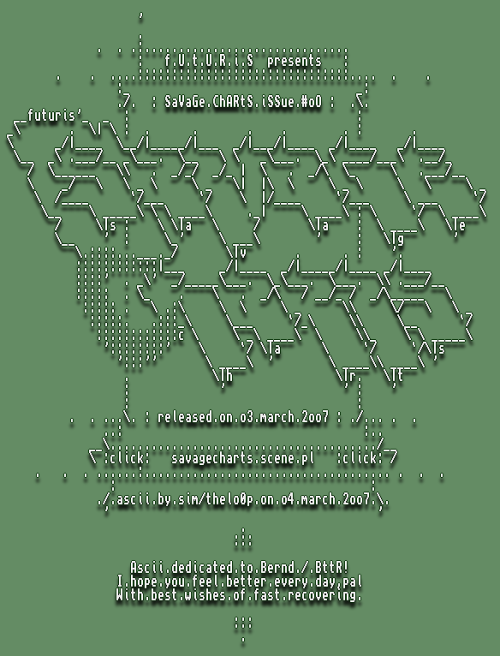 2000s, amiga, ascii, character sets, fonts, simone. 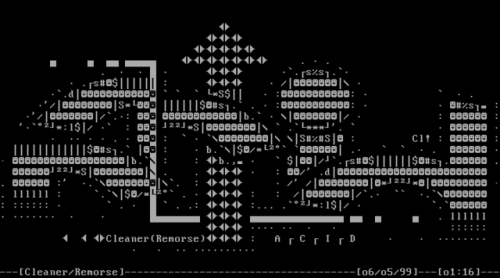 Two Amiga ASCIIs and a Crystal logo with a custom font (and drop shadow) , by Sim1. 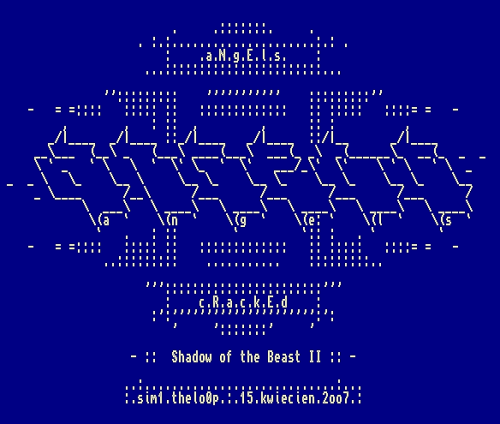 2010s, 2018, amiga, animation, ascii, germany, lord nikon.